if this person’s life is THAT bad, then i should have killed myself YEARS ago! photo taken in West BY GOD Virginia by me! 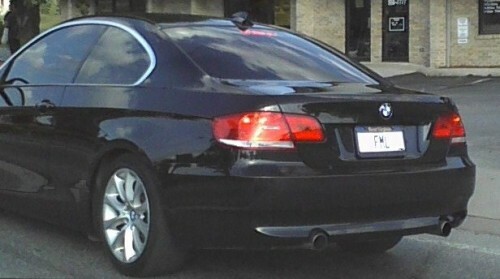 Not the same but a couple weeks ago, in Stevens Point, WI, I saw plates that had, honest to God, FRACK U. Depressed guy in a BMW?